The Patron Saint of Silay is San Diego de Alcala (St. Didacus in English) but not much was known about him. 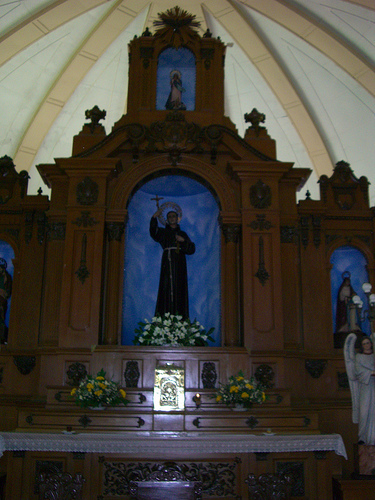 I for one grew up not knowing who San Diego was, except perhaps that he was a friar wearing a brown habit by looking at his huge statue right there in the main altar. 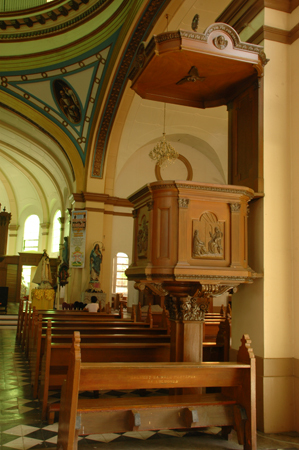 That was how I always remembered him...so it was a small shock to see him relegated to the pulpit at the left side of the church when I came home in 1980 (in his place was a statue of the Risen Christ). I still wonder to this day how they managed to put poor San Diego inside it. Then in 2005, after many consultations and finally putting it to vote, San Diego was back to his rightful place and that is in the main altar. Of course, there were some dissenting opinions especially in the light of Vatican II...but the San Diego Church was built before Vatican II and the head of the commission of liturgy ruled that the statues or icons of the patron saint in pre-Vatican II churches should be placed in the main altar. And the Risen Christ? Church authorities placed the statue in the the church mortuary which I think is appropriate enough...after all, death brings about eternal life. But who is San Diego or St. Didacus? 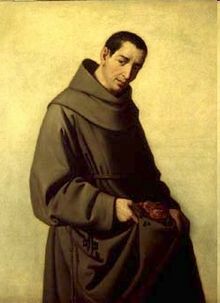 San Diego de Alcala became a member of the Third Order of St. Francis at a very young age and eventually took his solemn vows as a lay brother of the Franciscan Order. It was only in recent years that the parish first began a massive information campaign on San Diego. Researches were done and a play was written about the life of this relatively unknown saint and was shown during the fiesta in 2005. 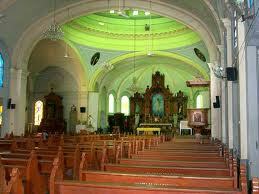 Prayer stampitas were also given out and people were encouraged to attend the novena masses. All that effort paid off because today the Feast of San Diego is a week long celebration actively participated not only by church volunteers but by the community as well.